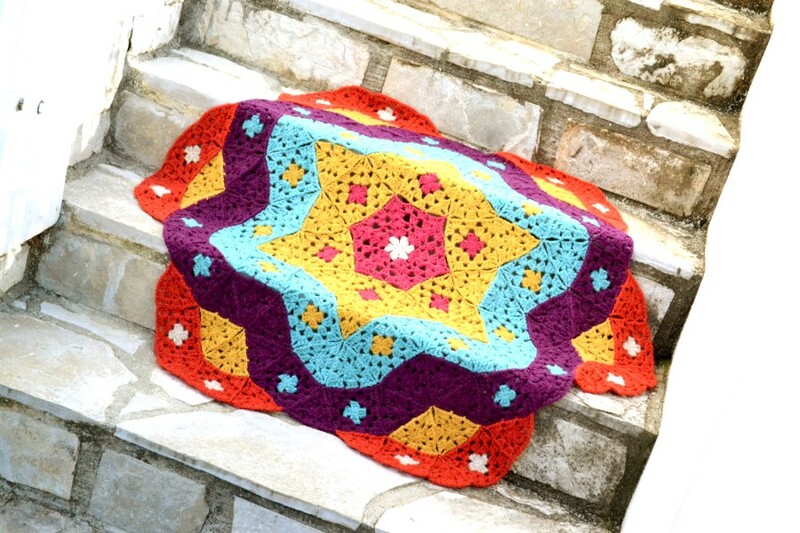 Grow Your Flower Blanket is one of the two patterns based on the same idea. The idea was to mix together traditional granny squares, triangles and hexagons in order to get interesting visual effects and shapes. Grow Your Molecule pattern (coming soon!) was the first one and its story will be about the technical aspect of designing and where the designer's job begins. 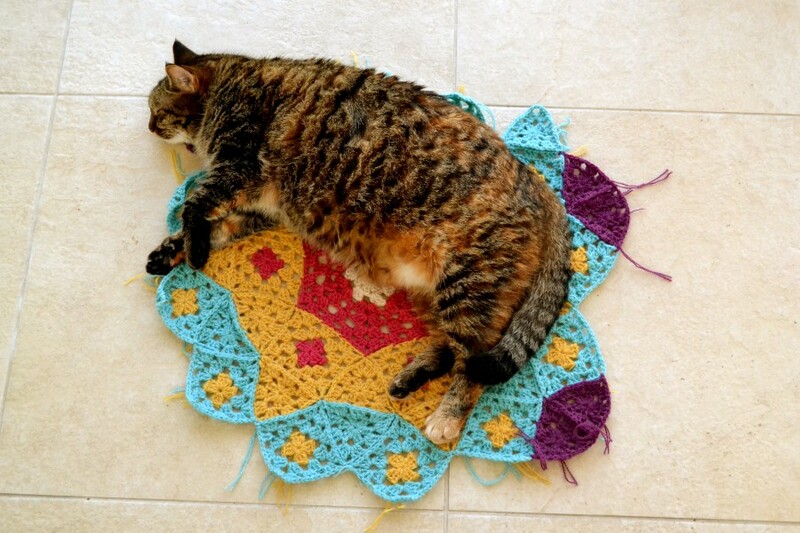 The story of the Flower blanket is all about creativity. Train yourself with every new design. Brainstorm each individual idea and try to exhaust it in all possible ways. Don't stop even if you think that your idea is great already. There is always an extra-great one! If you see your design in blue color, push yourself to imagine it in red, or two-colored, or variegated. 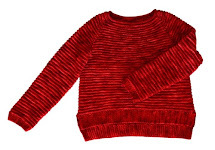 What about a contrasting color for edging or adding stripes? If you work on a hat design, try to imagine it as a bag or a skirt. Just for fun, playing a "what if?" game. Enlarge or shrink your idea (in your mind). Try to generate more ideas instead of working on the main one and getting stuck with it. You will most definitely become overwhelmed with questions and will need better visualization. At this stage I start surfing the web looking for examples. How does the red color match the blue color, how does this skirt type fit different body shapes, how can stripes be positioned and what color of dots do dotted animals have. I dive deeper and deeper and finally feed my ideas with real food: historical, artistic, natural and craft examples. 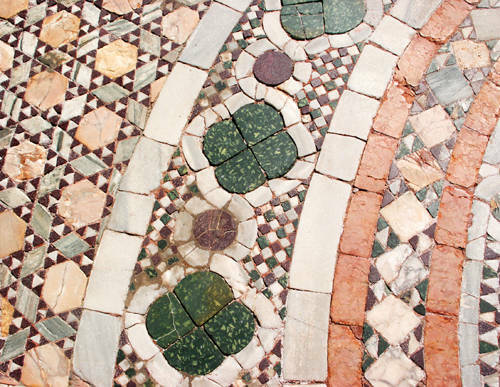 at those gorgeous triangles of different sizes and large hexagons! Sometimes I forget about the original idea and change my mind. And sometimes I want to make all of them, the original and the new ones! But most importantly, I make a choice and the harder it is, the better the job I've done (that is how I judge myself, haha :). This time I came up with a huge number of options! A molecule, a starry sky, a beach glass, a kaleidoscope, a fairy flower, a huge snowflake. And each theme had many options and color combinations. When I finally started to crochet the Molecule sample and made some progress, I felt that I needed some rest and some fun. So I picked up the loveliest idea from the ones I had generated and finished it even faster than the Molecule blanket. Invest your time in research and one day (really soon! :) it will sprout and bloom. 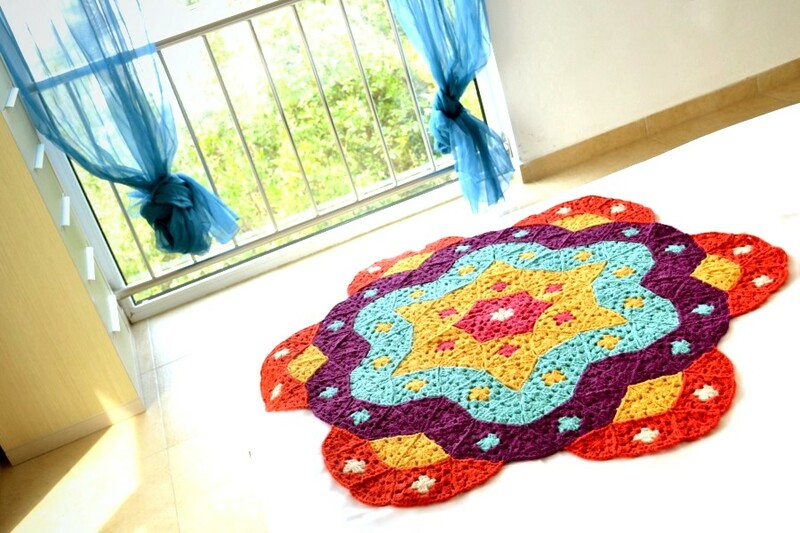 The Flower Blanket pattern is full of flower ideas and layouts of different sizes and shapes. It also has blank schematics to draw your own flower and colorize it according to your own preferences. Happy crocheting! P.S. Glad to inform you that all of my blanket samples were cat-approved. Here you can see one of the members of my designing team at work. Thank you, Pufik!